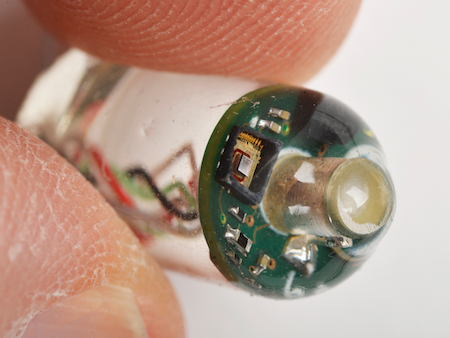 An MIT team has created "ingestibles", medical devices with sensors for patients to swallow. 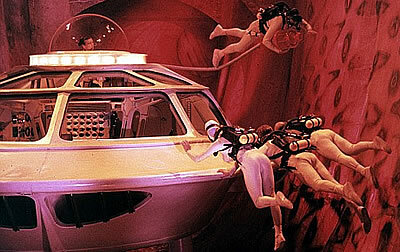 Science fiction fans may regard this ingestible device as being similar to the Proteus, the miniaturized ship from the 1966 movie Fantastic Voyage. I was thinking in particular of the ship at one of the intermediate phases of miniaturization. However, I could only find a picture of the fully reduced Proteus (below). 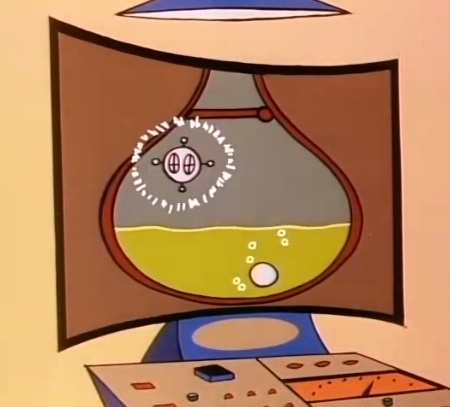 Thanks to readers, here's an early "science-fictional" view of this idea. 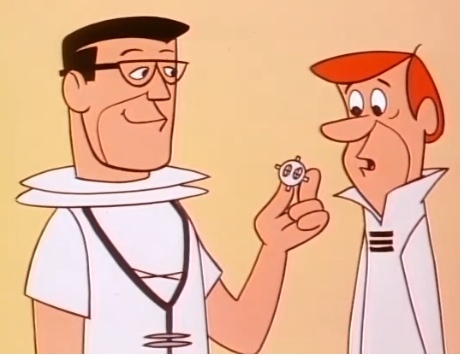 In Test Pilot, an episode of The Jetson's first broadcast on December 30, 1962, George Jetson goes in for a physical. 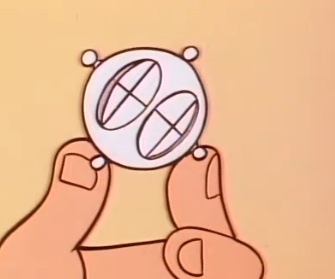 The doctor uses a special capsule called a "Peek-a-Boo Prober". The doctor uses a special Peek-a-Boo Prober launcher to start it on its journey through the patient. Once inside the doctor uses a voice-control interface to instruct the Prober. Take a look at an internal video provided by the Prober to the doctor. Via Physiologic Status Monitoring via the Gastrointestinal Tract and NPR.